Every year, IT giant Google holds an online competition open to students aged 13-18 from around the globe to come up with new and challenging scientific ideas. And this year, one the winners just happens to hail from my hometown of Victoria, British Columbia. Her name is Ann Makosinki, a 15 year old high school student who invented a way to power a flashlight using only the warmth of your hand. She claimed a trophy made of Lego for the 15-16 age category at an awards gala that was held on Monday, Sept. 23rd. 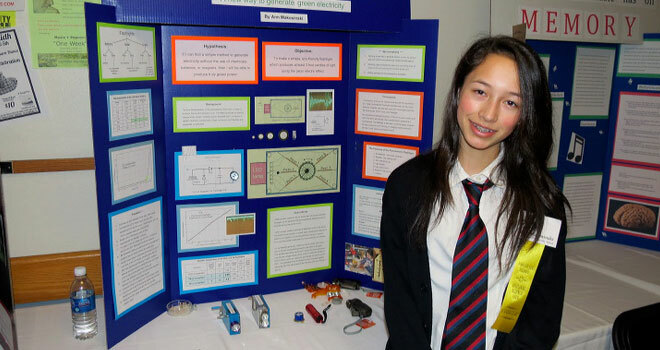 Her prizes were a $25,000 scholarship and a “once-in-a-lifetime experience” from either CERN (the European Organization for Nuclear Research), LEGO or Google. Quite the impressive accomplishment for a 11th grader, but then again, Makosinki has been a scientist at heart ever since she was a little kid. I’m in shock, I’m in shock. It’s actually kind of embarrassing because I didn’t even change [before the awards ceremony]. I didn’t even comb my hair or anything. I must have looked like an absolute mess on stage because I didn’t expect to go up at all. As for the invention itself, it is easy to see why she won. Basically, it is an LED flashlight that relies on the thermoelectric effect to generate electricity when held. 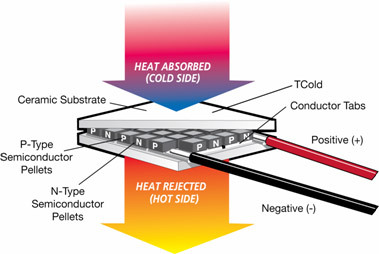 This is done through a series of devices that are known as Peltier tiles, which produce electricity when heated on one side and cooled on the other. The tiles are fixed to the outside of the flashlight while the tube itself is hollow. When held one side of the Peltier tiles are heated by the warmth of the person’s hand, air flowing through the hollow tube helps keep the other side cool. This combination of body heat and air cooling allows enough power to be generated to maintain a steady beam of light for 20 minutes. And all without the need for batteries and the resulting ewaste when they go dead. Makosinki came up with the idea while researching different forms of alternative energy a few years ago. Already, she had experimented with Peltier tiles for her Grade 7 science fair project. While researching her project, she thought of them again as a way to potentially capture the thermal energy produced by the human body. After doing some calculations, she found that the amount of energy produced by a person’s hand was theoretically sufficient to power an LED light. However, putting it into practice proved somewhat more difficult. After buying some Peltier tiles on eBay, she tested them and found that while they generated more than enough power, the voltage produced was only a fraction of what she needed. She rectified this problem after doing some further research, where she discovered that the addition of transformers could be used to boost the voltage. 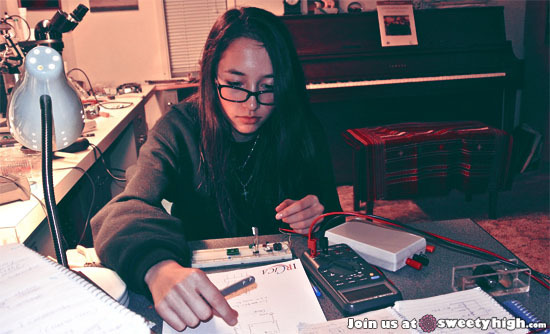 She spent months doing research on the internet, experimenting with different circuits and even building her own transformers, which still didn’t provide enough voltage. In the end, she came across an article on the web about energy harvesting that suggested an affordable circuit that would provide the voltage she needed when used with a recommended transformer. Finally, the circuit worked. You just kind of have to keep going. This took quite awhile ’cause I had to do it during the school year as well and I had homework, plays, whatever that I was also doing. 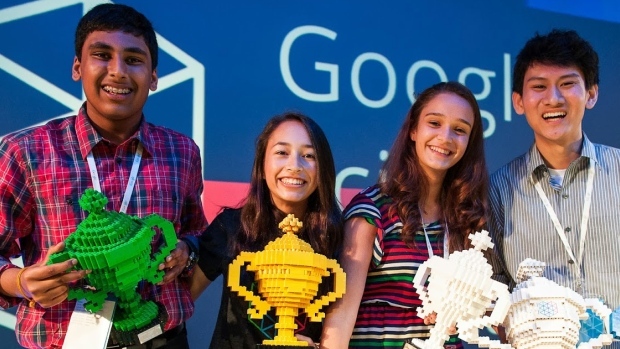 After making it to the Google Science Fair, she and her colleagues spent the day presenting at Google’s headquarters in Mountain View, California. Here, the 15 judges – which included scientists from a variety of fields, science journalists, an astronaut, and a former Google Science Fair winner – witnessed their creations and tried to determine which held the most promise. The other winners included Viney Kumar, an Australia student who captured the 13-14 age category for an Android app that warns drivers of an approaching emergency vehicle more than a minute in advance, in order to help clear a path for it. 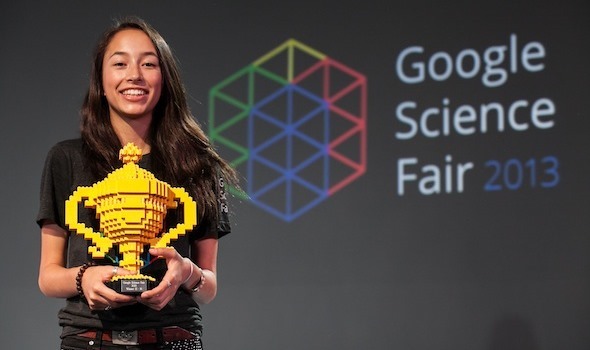 And then there was Elif Bilgin of Turkey, a 16-year old who took home the Scientific American Science in Action Prize and the Voter’s Choice Award for inventing a way to make plastic from banana peels. The Grand Prize for the 17-18 age category went to Eric Chen, a 17 year old student from San Diego who is researching a new kind of anti-flu medicine using a combination of computer modelling and biological studies. He received the top prize of a $50,000 scholarship and a 10-day trip to the Galapagos Islands. Alas, Makosinki felt the best part of the competition was getting to meet the other finalists in person at last. It’s just so inspiring to see other people who are kind of like me and kind of want to make a difference in the community not just by talking about it but by actually doing stuff. 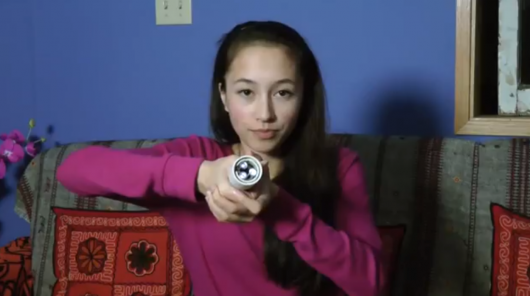 What’s next for the young inventor? Personally, I hope Makosinki and her fellow prize winners will be forming their own research group and looking for new and exciting ways to come up with renewable energy, recycling, vaccinations, and electronics. What do you think Makonsinky, Kumar, Bilgin, Chen? That’s what Andraka and his fellow finalists did after winning ISEF 2012, and they seem to be doing pretty good. So… hintedy, hint hint! That’s Ann Makosinski. Not sure who Barbara is. These young people are inspiring. This is so inspiring. Congratulations o these kids. We should follow what they’ll be doing in the future. Could they become the future Elon Musk, Marie Curie, or Peter Higgs? Absolutely! I’m hoping they team up like Jack Andraka did, form another research group like Generation Z. They’re working on cancer screening technology, these guys could work on vaccines and renewable energy.